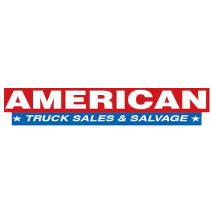 American Truck Sales & Salvage is a family owned business since 1979. It has become the largest independently owned used truck dealership and salvage yard in the southwest. We have two locations to serve our customers. Our used truck dealership specializes in a large variety of clear titled, used trucks and equipment. Our Truck Parts location carries new, used and refurbished truck parts. www.AmericanTruck.com www.AmericanTruckChrome.com American Truck Salvage, Inc.
SEARCH - American Truck Salvage, Inc.